Sarsanghchalak Mohan Bhagwat's speech in Muzzafpur(Bihar) is being misrepresented. 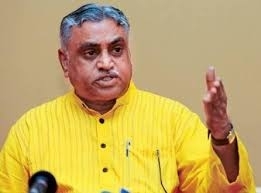 Bhagwat ji had said that if situation arises and the Constitution permits, Indian army would take 6 months to prepare the society whereas Sangh swayamsevaks can be trained in 3 days, as Swayamsevaks practise discipline regularly. This was no way a comparison between the Indian army and the Sangh swayamsevaks but it was a comparison between general society and swayamsevaks.Both are to be trained by the Indian Army only.